The two regional heavyweights have long had a wobbly relationship, with economic linkages often described as “undercooked”. 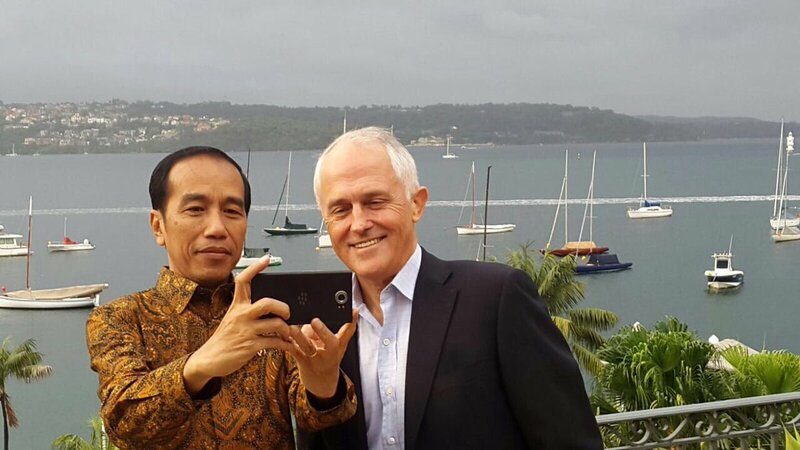 Today PM Malcom Turnbull will travel to Jakarta for the Indian Ocean Rim Association leadership summit. But his focus will not be on the multilateral pow-wow. Instead, Turnbull will use his surprise visit to build upon the dramatic warming of relations resulting from his counterpart’s trip to Australia last week. Canberra’s priority will be deepening security cooperation with its archipelagic neighbour – it is deeply concerned about Chinese maritime assertiveness. Last week the two countries restored military cooperation, which had been suspended after a kerfuffle in January. Jakarta’s aims for the meeting are rather different: President Joko Widodo is intensely focussed on economic diplomacy. Bilateral trade flows are a mere trickle, and expedited negotiations on a free trade agreement are expected to produce a deal by the end of the year. With Indonesia forecast to be the world’s fourth largest economy by 2050, opening the country to Australian investment will be a boon for the land down under.